Persyst Enterprises, Inc. is a State of Nevada Corporation, located in Las Vegas, Nevada, manufacturing and marketing the Sidewinder Solvent Recovery System since 1987. Mike Lawson of Las Vegas is president and CEO. Gail Lawson, also of Las Vegas, is secretary/treasurer and operations manager. 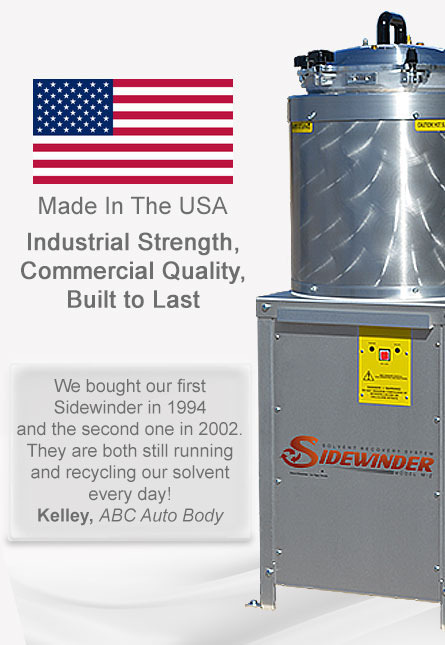 The Sidewinder Model M-2 is the first UL Listed Solvent Recycler in the world. It has been listed in accordance with the US National Standard, UL 2208 Standard for Solvent Distillation Units, for use in ordinary, non-hazardous locations.